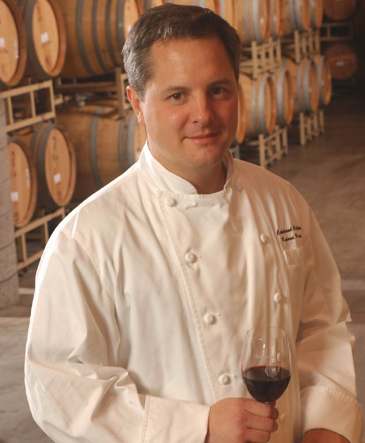 From Nov. 16 to 19, 2005 at the Grand InterContinental Seoul's contemporary restaurant Table 34 wines from one of California's most respected wineries, Cakebread Cellars, will be featured along with cuisine by the wineries' resident chef, Mr. Richard Haake. The founders of Cakebread Cellars believe that "food is made better with wine" so they "focus on wine as an important part of the meal with an interest in creating fine dining for each other." Since food and wine should enhance each other menu items created for this very special event include Cakebread Cellars Sauvignon Blanc 2003 with coriander crusted tuna with mango and cucumber salad and preserved lemon vinaigrette or you may choose Cakebread Cellars Chardonnay 2002 with carrot soup with Garam masala and fromage blanc. For a main dish you may wish to choose pan seared duck breast with cardamom and orange braised endive, crispy potato rosti and mustard sauce from among the many outstanding menu items. For more information please call (02) 559-7631.